Nashville-based photographer Jim Wright's love of music and musicians infuses his photography. When AARP the Magazine decided to spotlight Motown's 60th anniversary on its December 2018/January 2019 cover, Wright was our first choice to shoot it. 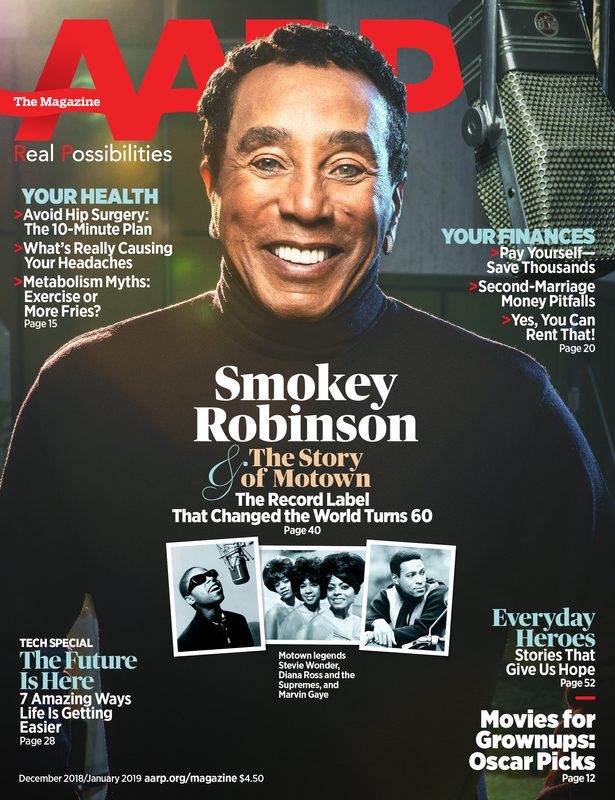 Cover subject Smokey Robinson—a singer, songwriter and Rock and Roll Hall of Fame inductee—was photographed in L.A. at the Valentine Recording Studio, which has been untouched since it closed more than 30 years ago. The vintage location struck the right visual notes for the 78-year-old Robinson, who played piano and sang during the shoot so that Wright could capture the essence of a performance. Wright's lighting accents Smokey's joy at being back in the spotlight.